Young people (and others) are in for a real treat as The Takeover Festival comes to The Customs House from Monday 28th May until Friday 1st June. There’s a hugely exciting line-up of events, films, performances and competitions to catch the eye as the annual youth arts festival pulls in some real talent from the art world for people aged 25 and under. 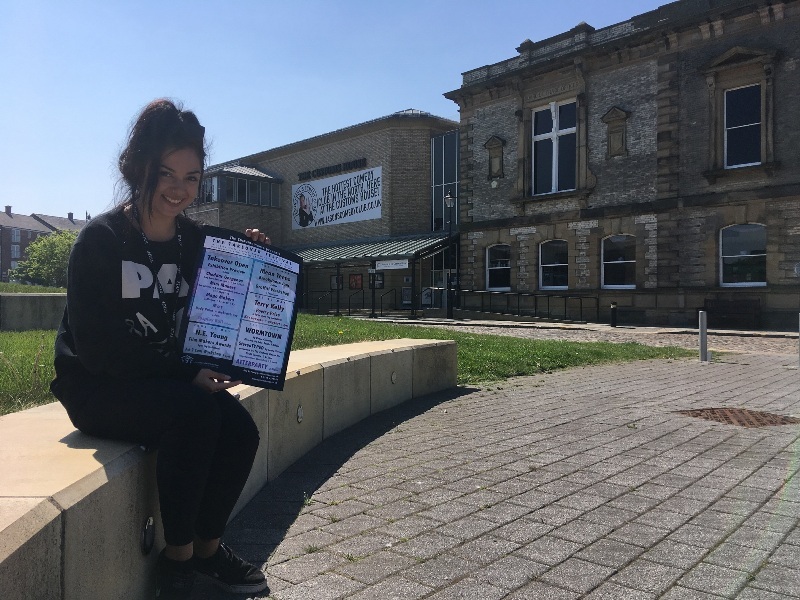 This year, you can expect theatre, cinema, music, dance, poetry, hip-hop and visual art, all hand-picked by a group of volunteers and brought to the iconic South Shields venue. Izzy Finch is overseeing the running of The Takeover Festival, supported by Catherine Scott with a team of inspired young folk aged between 14 and 23. Monday 28th May gives an opportunity for painting, a drag make-up master class and a body painting workshop. With a cosplay ball and a preview party, it’s all off to an incredible start. Things heat up on Tuesday 29th with a graffiti workshop and break dancing. Wednesday 30th welcomes Newcastle’s up-and-coming hip-hop artist Kay Greyson, with a film-making workshop on Thursday 31st. Friday 1st June is an improv workshop and WORMTOWN, written by Reece Connolly, The Takeover Festival’s first Young Writer in Residence, closing the festival. The Takeover Festival comes to The Customs House, South Shields from Monday 28th May until Friday 1st June.